The 28.85 megawatt Barro Blanco hydroelectric dam threatens to cut off the flow of the river and create a 258 hectare reservoir, flooding numerous homes, precious gallery forests, schools, churches, cemeteries, archaeological sites, and fertile agricultural land that the communities rely upon for subsistence agriculture – these facts have been confirmed by a recent UN field study. The dam will also exterminate vital fish species which form a staple of local diets. Genisa denies it is taking food out of the mouths of Panama’s poorest people, yet it has never consulted any of the affected communities; the project contravenes international and national laws. Nonetheless, the Panamanian government continues to side with the company and is currently militarizing the area with heavily armed SENAFRONT police troops. Recent clashes with riot squads have left some Ngabe protesters with injuries; the situation remains tense. 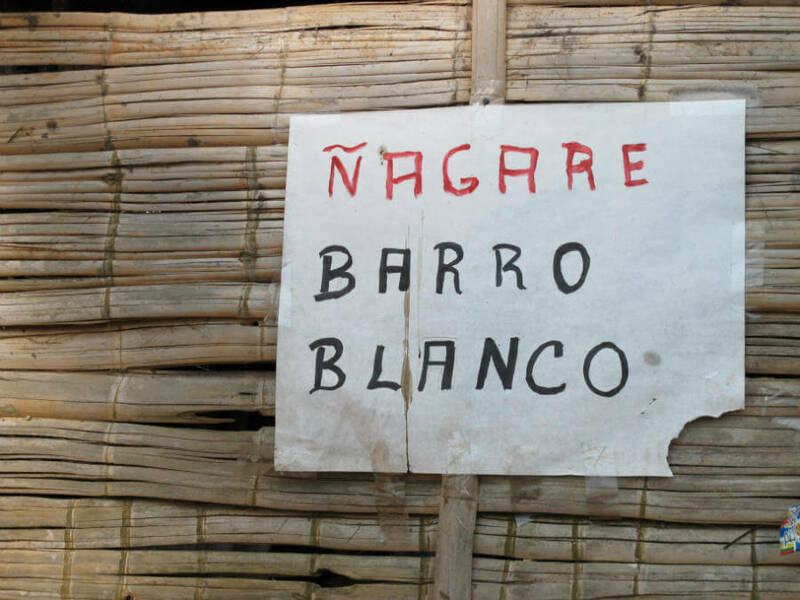 Ñagare Barro Blanco (Ñagare means ‘no’ emphatically, the equivalent of saying ‘no’ three times) was filmed in the indigenous and campesino settlements of Kia, Nuevo Palomar, and Calabacito in February 2013. It explores the endangered culture of the Tabasará communities, their fierce resistance to dam development, and their willingness to protect their natural resources and way of life at any cost.